I recently read this column from MSNBC.com about the hotel industry's lackluster television advertising. The writer asserts that not only are hotel ads boring and ineffective, but they are obsolete as well. I think it's an interesting point, but also (maybe) an unfounded one. The argument I found most effective is that guests no longer need ads (which are boring and uninformative anyway) because of the Internet. It's easy for anyone to compare rates, amenities, locations, ratings, yadda yadda for any hotel in any city they want to visit. Thus, the prospective guest won't care whose graphics are flashier and whose dialogue is realer. But if we are going to make that leap—that hotel advertising is useless—then we also have to declare 90 percent of other advertising useless. Think about it; let's use pop as an example (pop is what we modern Ohioans call soda, for those yokels unaware). Who hasn't heard of Coke or Pepsi at this point? Are either of these companies actually affecting anyone with their advertising? Once you try one and like it—for either taste or pricing reasons—isn't that game over? Well, why haven't either of these two giants stopped advertising? Why hasn't any established product with nothing new to offer stopped advertising? I'm guessing it's because advertising, even in some small way, works. Advertising keeps a company or product's image in the heads of society, which, I think, is the most important part. Image isn't everything; sometimes, it's the only thing. 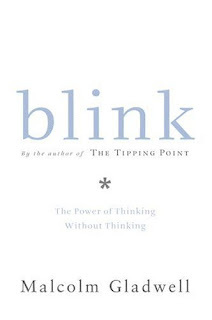 If you've ever read Blink by Malcolm Gladwell (and if you haven't, you should), he talks about the human unconscious, and how our initial, visual impressions and internal processes can often have a profound impact on everything we do. A label on bottle you don't like can make your juice taste worse than it does; a singer's bad haircut and weird face can make you think they sound worse than they do. So, maybe, these same processes are what keeps advertising as a whole going. And maybe these processes are what still make hotel advertising important. Maybe if certain brands would put more effort into pleasing these unconscious processes, their projected images would circumvent any modern comparing and contrasting one can do on the Internet. Or maybe not. What do you think? Great post Chris. Even at the micro level of industry publications, advertising plays a very important role. As you bring up, the unconcious and concious registration of advertising within the pages of Hotel & Motel Management magazine brings relevant product and service information to our readers. Advertising in general is designed to trigger a desire in our subconscious, think about it in that respect and it explains why we suddenly get thirsty or hungry while watching the old tube. Building an image has always been the protocol for advertising of any kind, hence the success of Radio advertising, unlike other mediums it triggers an image in the subconscious, no pictures or print to read, just your imagination at work. There will always be a need for advertising with any brand of any thing, are enormous amounts of money spent for little result? Probably. When you consider that jingles have repeated themselves over and over in the empty spaces of our brains you have to agree that they do serve their respective purposes. If you are going to hotlink images from my server, I would appreciate a link to my blog entry rather than to the image file itself. Or just grab the image and upload it to blogger. Regarding the advertisements, the thing to remember is that hotel advertisers are for the most part not trying to sell you a hotel room. They are trying to sell you an image, a quality, or an experience. These are not things that come across in a google search of an Expedia comparison. In reality the stuff that comes across in the search or travel site comparison is probably going to be far more important to your hotel stay. But the hotel wants you to believe that staying at their hotel will mean white sands and bikini-clad women (or statuesque chiseled men) for you. That's never reality, but it sells more hotel rooms. Retailing tycoon John Wanamaker once said, "I know that half of my advertising doesn't work. The problem is, I don't know which half". Ouch. Media partners must focus on helping advertising clients justify their media spend, and that starts with a clear understanding of the "jobs-to-be-done" by the media investment. Build the brand? Change perception? Establish a new USP in the mind of the prospect? Sell more rooms? Marketing metrics should allow us to measure success. It's not easy work to be sure. Or, we can take the easy way out and just base our ad investment on the assumption that "the familiar is more desirable than the unfamiliar"!! The reluctant blogger: now read this! Architecture off the deep end? Computers as the next in-room battlefront?